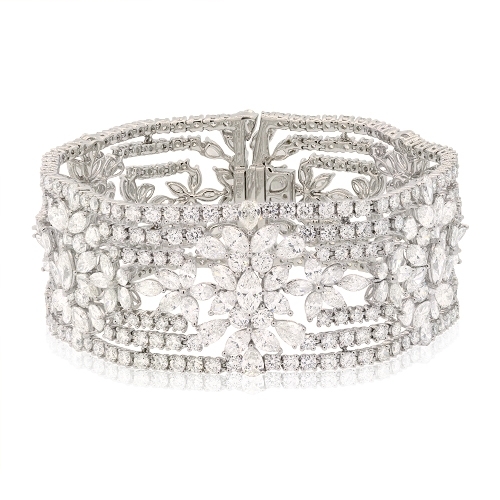 Aristocratic fine bracelet set with both round & fancy diamonds in an open elegant design of 18k white gold. Diamonds approx. 34.50ct.